Note: Originally on Pot Appetit on Oct. 17, 2011 and in the Sacramento Bee’s medical cannabis advertising section on Oct. 21, 2011. Here is the original Pot Appetit post, archived on The Wayback Machine. Add a pinch of cannabidiol to tetrahydrocannabinol and, suddenly, that THC in your system responds like a tomato sprinkled with sodium — richer, balanced, complete. It’s a yin-and-yang relationship, said Al Coles, founder of Alta California, a Stinson Beach company that makes medical cannabis tinctures centered on THC and CBD, two of more than 80 cannabinoids in the plant. THC is the female: It takes you in and expands the mind. CBD is the male: It takes you out and focuses the mind. CBD is a non-psychoactive cannabinoid that acts as both calmer and catalyst to THC, the psychoactive cannabinoid that stimulates (and can over-stimulate) the mind and appetite. While both cannabinoids mitigate many ailments seizures from MS and Parkinsons disease, nausea in people with AIDS, cancer and Crohns disease, as well as chronic pain and depression in many people THC is the cannabinoid that messes with your head. CBD, meanwhile, is body-centered and moderates the mind-racing and heart-racing effects THC can cause while also enhancing THC’s more pleasurable euphoric effect. Holding up half-ounce bottles of tinctures high in THC and high in CBD during an interview last week at Magnolia Wellness, the Orangevale medical cannabis dispensary that carries his line of Alta California tinctures, Coles said, Theres a whole new world of experience to be had by combining these two. Ive been able to have a real good high feeling at much lower doses by having a little CBD in my system. A lot of people keep smoking pot while their high is going away. They say the THC is psychoactive but theres no euphoria. CBD will bring back the euphoria. Alta California tinctures come in three versions: 99 percent THC and 1 percent CBD, labeled Euphoria; 80 percent CBD and 20 percent THC, labeled Healing; and 50 percent THC and 50 percent CBD, labeled Tranquility. Coles said Euphoria works well for patients seeking relief from depression or insomnia and is especially popular with the cannabis culture and people looking for the THC type of experience. Healing, he said, is popular with patients who seek pain relief. And because CBD is an appetite suppressant unlike THC, Coles said his Healing product line is popular with women. Tranquility, he said, is popular with MS and Parkinsons patients who suffer seizures and require the maximum benefits of both cannabinoids. Recommended dosage, based on body weight, ranges from one-half milliliter (half an eye-dropper) to 6 milliliters. 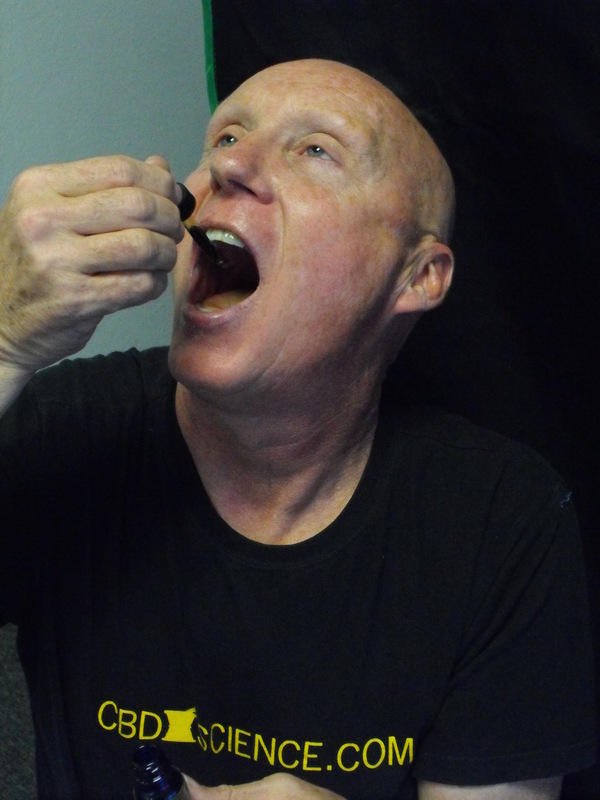 The tincture can be swallowed orally, placed under the tongue or may be infused into your beverage of choice. Each half-ounce bottle of tincture costs $40, or about $2.50 per dose. As Coles described it, medicating with Alta California tinctures is like being your own alchemist and finding the balance of cannabinoids that work for you. Noting that THC in high doses can cause anxiety and paranoia, Coles said CBD is the natural, calming antidote. CBD deactivates the mind, Coles said. The active mind that people want to go away, it goes away. THC is the one typically that helps you sleep but a lot of people have been finding sleep benefits from CBD because their minds were so active theyre Facebooked out, theyre always going, they need to shut it up. CBD does. Coles offered chemotherapy patients as another example of CBDs beneficiaries. The memory of a previous chemotherapy treatment, he said, can trigger physical illness in patients en route to appointments. CBD, Coles said, prevents that physical illness by keeping the active mind in check. Coles said Alta Californias tinctures are made using whole cannabis plants a version of the Harlequin strain for the high-CBD tincture and an Afghani and OG Kush for the high-THC tincture. Neutral grape spirits 190-proof ethanol, made from organic grapes grown in Northern California are used to extract and preserve the active cannabinoids, and to speed up their absorption in a persons body. Honey and mint oil flavor the tincture, and propylene glycol, a food-safe stabilizer, binds and thickens. While each half-ounce bottle contains an amount of alcohol equivalent to a quarter-shot of tequila, Coles said his product doesnt induce alcohol effects. 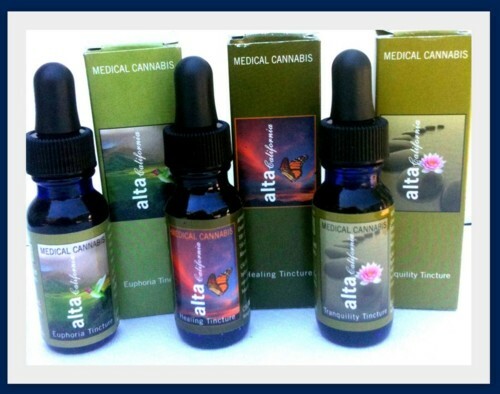 Alta California tinctures are available at these medical cannabis dispensaries in the Sacramento area. The cost is $40 per half-ounce bottle.